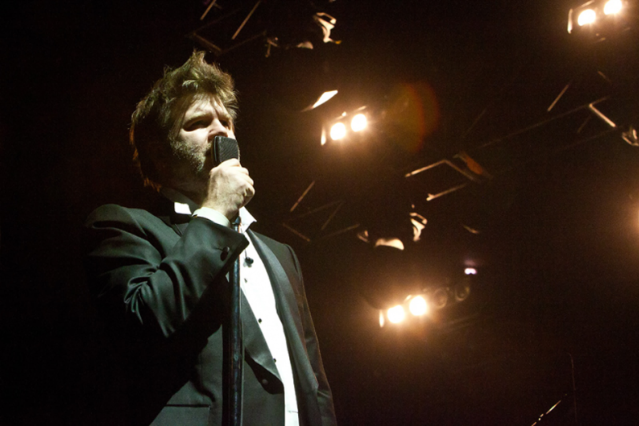 Prepare for yet another round of LCD Soundsystem ticketing madness: Shut Up and Play the Hits, the long-awaited documentary capturing the band’s instantly sold-out final show at Madison Square Garden last April, will play for one night only in theaters across the U.S. The film is being distributed by the late Adam Yauch’s Oscilloscope Laboratories, and tickets for the July 18 screening will go on sale at select theaters June 8. But there’s hope for far-flung fans too. According to the film’s website, additional showings can be requested, though there’s no details on dates. The doc, directed by Will Lovelace and Dylan Southern, trails Murphy for the 48 hours that sandwich the band’s finale, during which he weeps, attempts to brew his own coffee, and, of course, leads a four-hour arena dance party, reveals a SPIN review from the film’s Sundance premiere. Check out the list of participating theaters, along with the trailer here.